We are particularly pleased that the European professional card has been included in these proposals together with the administrative framework for its development. We are also pleased to see that the Commission is revisiting the concept of common platforms and welcome the new approach in the form of common training principles, either a common training framework or common training test. We see this as very much a step in the right direction, although it must be ensured that the conditions for such common training principles are achievable and realistic for the semi-regulated professions such as property professionals. 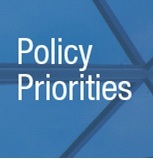 This issue is clearly a priority for 2012 and CEPI looks forward to participating in the discussions concerning the modernisation of the Directive during which we will ensure our voice will be heard.